How to enter a Bracket Order order in ZacksTrader? The following instructions are dedicated to the ZacksTrader platform. 1. Select the desired product type tab in the Order Management panel. 2. Enter the symbol for an asset you wish to trade. Select Enter on your keyboard or GO beside the symbol. Then, select the product type. You are going to be presented with the order preset defaults which is to buy 100 shares as a limit order. You may change this later. You will see your current position, if you have one. It will give you the National Best Bid and Offer prices. 3. Select Buy or Sell. 5. Select your order type. If required according to the order type, enter a price. 6. Select a Time in Force. The Fill outside RTH checkbox allows your order to be filled outside Regular Trading Hours and will only be available for appropriate order types. 7. Review your order instructions and then select Preview Order. 8. The Order Preview screen will show your order instructions, Amount/Commission and Total, as well as Margin Impact. If all information is correct, select Submit to have the order become active. If you receive alerts with “Do not display this message again”, you may review the notification and select to continue as the message is not a restriction. 9. You will then see the order appear under Orders. Under the status column, you will be able to review the current state of the order. If you do not see an active order under Orders, be sure to check Trades for filed orders. On the Orders tab, you can select between All, Live, Cancelled, or Completed Orders. Zacks Trade is a division of LBMZ Securities. Zacks Trade is an online broker dedicated to traders and investors all over the world. Margin trading involves risks and is not suitable for all investors. Trading on margin can result in interest charges and the possibility to lose more than what is initially invested. In some instances you may need to deposit additional collateral to maintain certain margin requirements. Please review our Margin Trading Risk Disclosure, Day Trading Disclosure, and Portfolio Margin Disclosure on our Account Disclosures page to understand the risks associated with trading on margin. Options trading involve risks and are not suitable for all investors. Please read the Characteristics and Risk of Standardized Options prior to opening an options account. Brokerage products not FDIC Insured - Not Guaranteed - May Lose Value. The SIPC provides brokerage account protection. Online Trading has inherent risks due to system response times and access times that may vary due to market conditions, system performance, and other factors. An investor should understand these and additional risks before trading. Carefully consider the investment objectives, risks, charges, expenses and fees before investing in any type of security. All investments involve risks and losses may exceed the principal invested. Past performance of a security, industry, sector, market, or financial product does not guarantee future results or returns. Any specific securities, types of securities, used as examples, are for demonstration purposes only. None of the information provided should be considered a recommendation to invest in, or liquidate, a particular security or type of security. News, commentary, data, charts and other information are provided by third party research providers. Any web link between ZacksTrade and third party research providers is not a solicitation or offer to invest in a particular security or type of security. ZacksTrade does not endorse or adopt any particular investment strategy, any analyst opinion/rating/report or any approach to evaluating individual securities. ZacksTrade makes no guarantees that information supplied is accurate, complete, or timely, and does not provide warranties regarding results obtained from their use. ZacksTrade is a division of LBMZ Securities. Brokerage products and services offered by LBMZ Securities - Member FINRA and SIPC.  LBMZ Securities is a fully disclosed broker through Interactive Brokers LLC, who provides execution and clearing services to clients and is not an affiliate of LBMZ Securities.